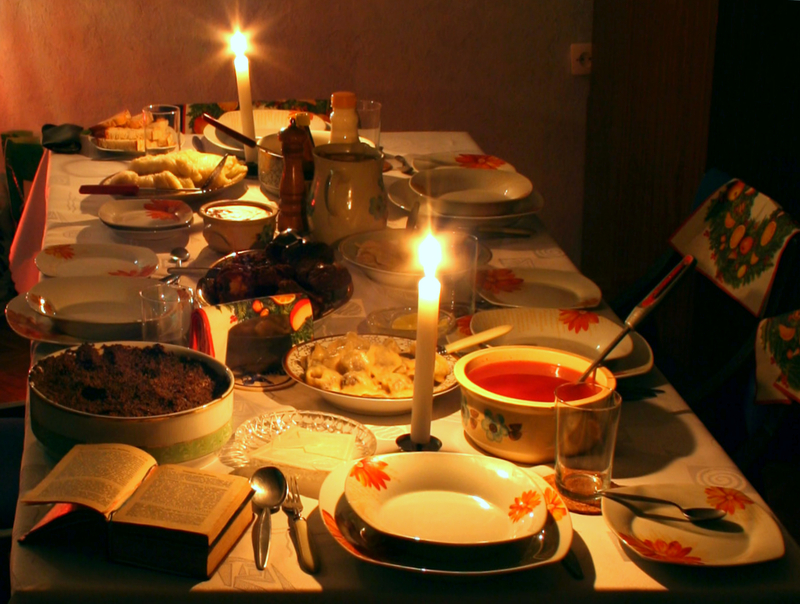 In Poland, Christmas Eve dinner is the most important celebration of the year. Although this meal is reserved for the closest family, it is customary to set an extra plate and seat for an unexpected guest or even a vagrant. Most of the dishes served are cooked specifically on this special day – and only once a year! What’s on the plate is based on traditional and seasonal products available in winter. Meat is not allowed. Christmas Eve traditions, including culinary ones, are the combination of ancient pagan customs with religious ones introduced by the Catholic Church, local traditions and various folk cultures. The supper, which traditionally includes twelve dishes and desserts, may last for a good couple of hours. It is followed by an exchange of gifts. Christmas Eve dinner starts when the first star appears in the sky. Nothing may be eaten until all members of the family have broken the Christmas wafers (“opłatek”) together and exchanged wishes for good health and prosperity. During the meal, all guests should taste a bit of everything. According to traditions, bits of hay are spread beneath the tablecloth as a reminder that Christ was born in a manger. Why do Poles eat twelve dishes during the Christmas Eve dinner? The tradition calls for twelve traditional courses to be served during the Polish Christmas Eve. This number is the symbol of the richness, twelve Apostles and represents the twelve months of the year. The preparation of the traditional dishes takes a lot of time. Many restaurants and shops offer ready products, but Poles still prefer to cook traditional family recipes as they always taste better. Some specific dishes may differ from various regions, but many of them are universal. 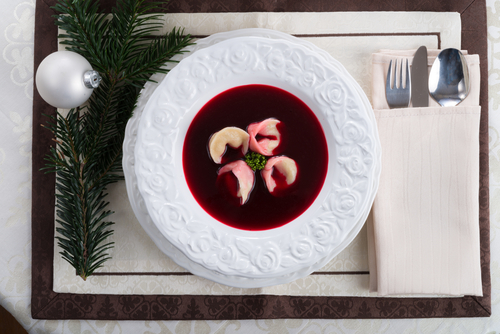 Christmas Eve dinner often starts with a beetroot soup (red borscht) – probably the most popular soup for that day. The Christmas version varies from the common one. Christmas bortsch requires a sour base (“zakwas”) which is to be made a few days in advance. It consists of raw beets, peeled and cut into slices, fermented, during four to five days, in pre-boiled and chilled water with or without garlic. It is then mixed, for example, with both a light broth made from dried wild mushrooms and a vegetable broth. This traditional Christmas borscht usually is served with tiny dumplings stuffed with a mix of soaked (and then nicely chopped) dried ceps and fried onion. These are called “uszka” meaning “little ears” in Polish. 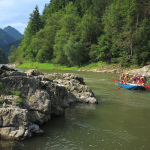 Borscht is traditionally served in the south of the country, particularly in the Podhale region, close to the touristic Tatra mountains. There “uszka” are replaced with large, white beans. 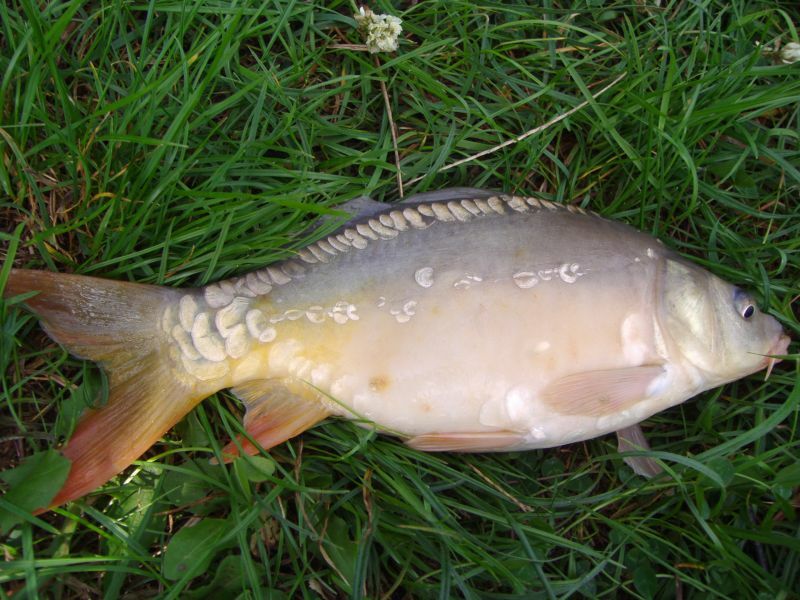 In the Lesser Poland region (Małopolska), many families continue the tradition of preparing “Jewish style” carp fish for Christmas Eve dinner. In the past, this was a traditional meal of the Ashkenazi Jews living in Central-Eastern Europe. Pieces of fish are cooked slowly in a fish stock. It is served in a natural jelly with onion, almonds, raisins and soft bread. 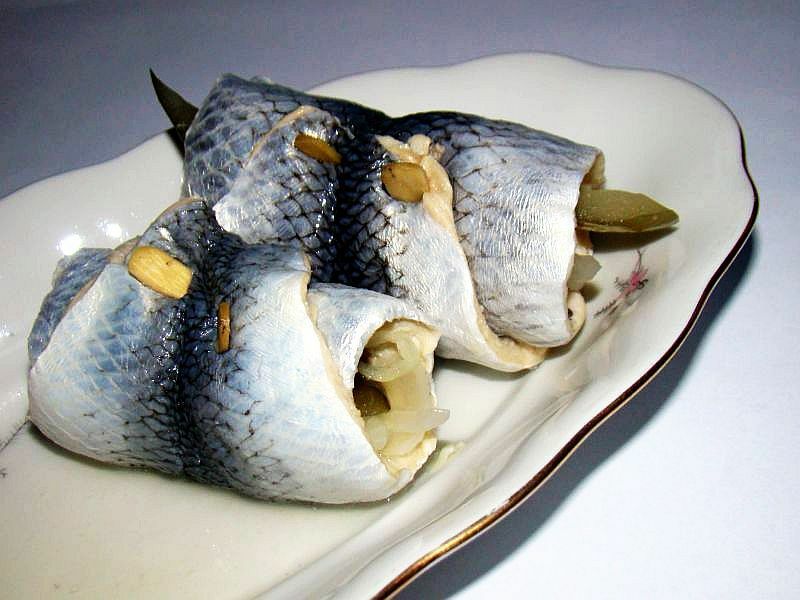 Herrings are very popular in Poland at any time of year, and they are also served at Christmas Eve. Poles in Scandinavian and Baltic nations know how to prepare this healthy fish, and so Polish gastronomy has quite a range of recipes for herrings. The most popular preparations are classic herrings fillets (“matjes”) in oil (the best ones are in healthy linen oil), or with cream, sour apples, chopped onions, usually served with the so-called root vegetable salad or potatoes. 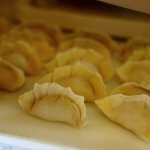 Pierogi – the most recognizable Polish food abroad. The Christmas version of those half-circular dumplings is stuffed with cabbage or sauerkraut and dried forest mushrooms such as ceps. Interesting regional varieties – most notably coming from the eastern territories – are sweet pierogi stuffed with smoked and dried plums or with poppy seeds. Kutia is an ancient dessert with origins in Eastern European made exclusively for the Christmas Eve dinner. Today, it is still served in many households where families have some roots in the Eastern part of Old Poland. It is a mixture of cooked, unprocessed wheat grains, cooked poppy seeds, honey, dried or candied fruits soaked in a small amount of port or red wine and various nuts – usually almonds, sunflower grains or walnuts. In the past kutia not only had a culinary meaning but was connected to religious beliefs. Baking gingerbread in Poland is a tradition several hundred years old. Gingerbread from Toruń – the city of Nicolas Copernicus – was already known in the 17th century. 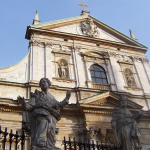 Ancient Polish cuisine was full of exotic spices, inlcuding ginger, cinnamon and nutmeg. The traditional Old Polish “piernik” which is still prepared in many homes requires a lot of time and attention. 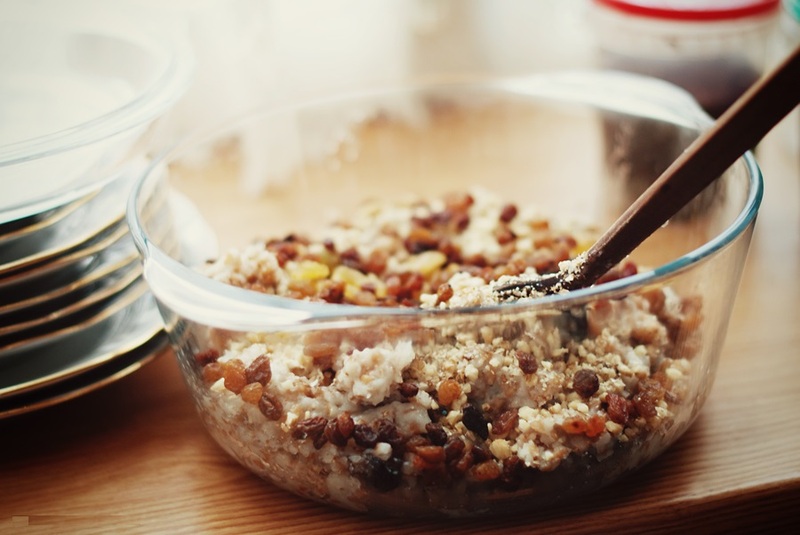 The dough consists of honey, lard, sugar, eggs, flour and a mixture of gingerbread spices. It must be made a good couple of weeks in advance to maturate and gain the very special gingerbread taste. Baking it a couple of days before Christmas Eve makes it ideal for consumption.  It is then cut along and eaten with layers of traditional plum preserves (“powidła”). It remains fresh for a long time. Poles also bake a lot of small ginger cookies which also serve as Christmas tree decoration. This tiny, black grain symbolizes prosperity and must be included in the Chirstmas menu. Poppy seed cakes are eaten by Poles year round, but the traditional Christmas poppy seed cake is a bit different – the layers of the dough should be thinner and the layers of the sweet poppy seed cream should be thicker. 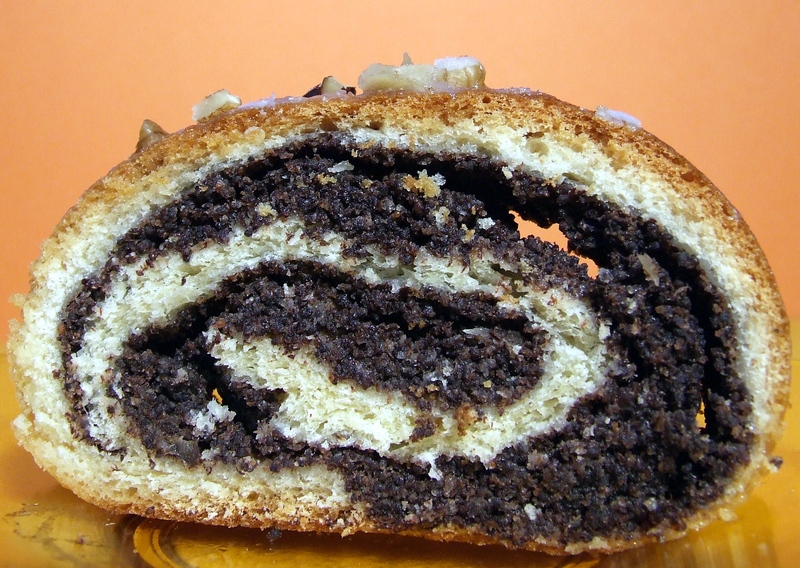 In some regions, a few other desserts with poppy seeds are made for Christmas Eve. “Makówki,” a traditional poppy seed-based dessert, is a must in Silesia, as well as “makiełki,” bread rolls soaked in milk or water, served with dried fruits and honey, and a dried fruits compote.